This book measures 8 1/4" x 5 5/8" and has 207 pages. 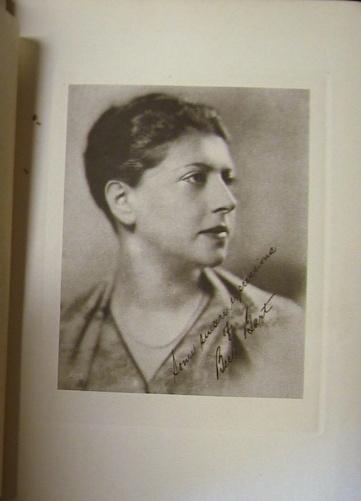 It was bound in paper over boards with a suede spine. Cover decoration stamped in gold. 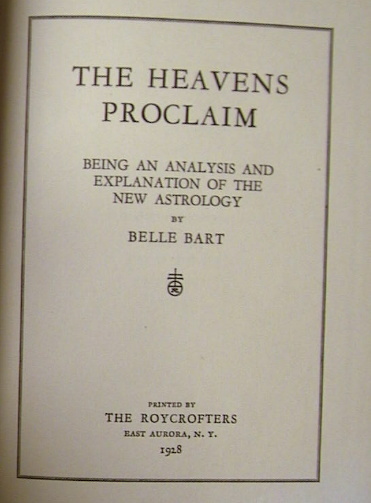 The author Belle Bart also wrote The Heavens Proclaim, published by the Roycroft in 1928. Both The Heavens Proclaim and Thru the Stars to Success deal with astrology. 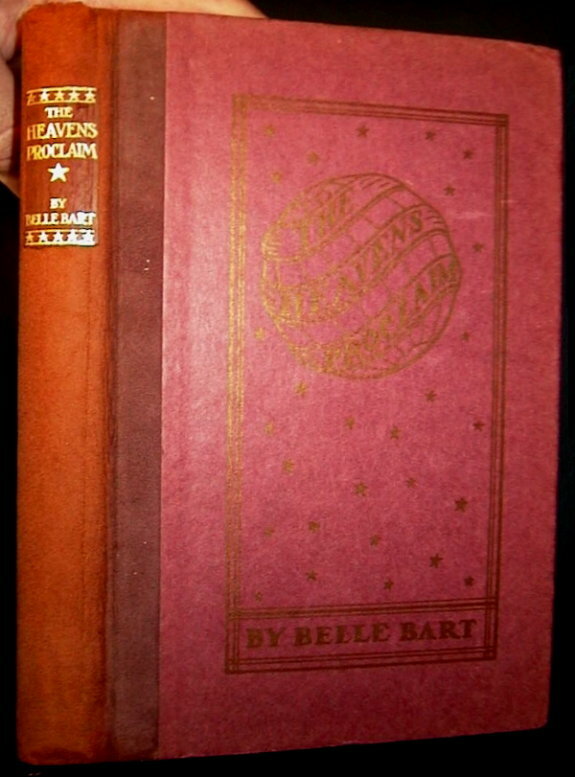 As a note of interest The Heavens Proclaim was reprinted in April 2003 by Kessinger publishing.